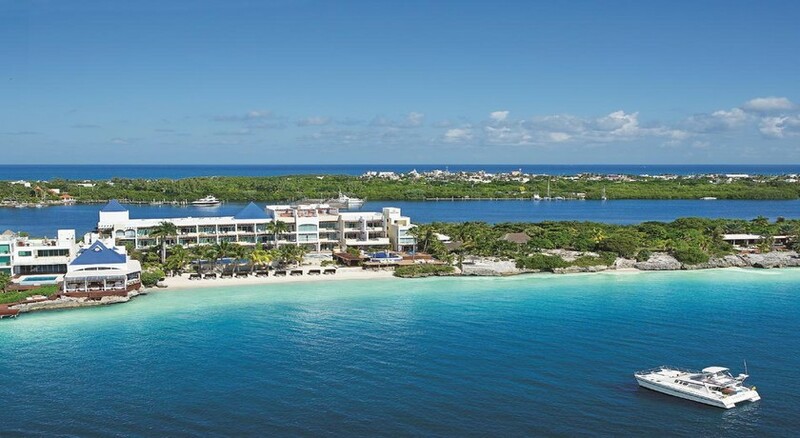 Perfectly situated in the southern part of Isla Mujeres Island, the Zoetry Villa Rolandi Isla Mujeres Cancun is a 35-room beach front resort, which is in perfect harmony with the surroundings. This contemporary Mediterranean-Mexican style resort features Ticul and Marble Mats, Ticul Stone floors, tiled vault ceilings and much more. What’s more exciting is the resorts private yacht that takes you around the turquoise waters and to & from mainland Cancun, which is about 30 minutes away from the resort. Guests can enjoy gourmet meals at the on-site restaurant and take advantage of the in-room food & beverages service. 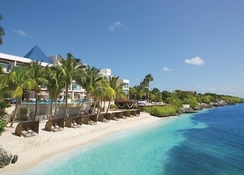 The resort is conveniently located in the southern zone of Isla Mujeres, Mexico. It will be an exciting time for the ones who want to satisfy their luxury shopping needs, as the Escuela Primaria Cesar Mendoza shopping is situated nearby. The Cancun International Airport is about 40km from the property. 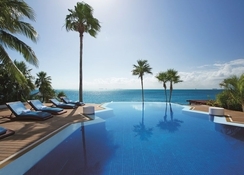 Spoil yourself with uncompromised luxury at Zoetry Villa Rolandi Isla Mujeres Cancun. 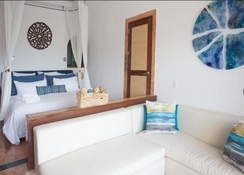 The hotel features 35 suites that offer only the finest quality linens, bath amenities, wireless internet and an impressive private terrace with an oceanfront view and much more. 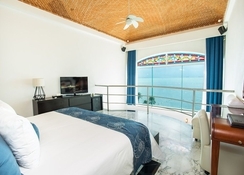 The suites in the hotel come in four categories namely Presidential Suite Ocean Front, Junior Suite Superior Ocean Front, Junior Suite Ocean Front and Junior Suite Veranda Ocean Front. All guestrooms have the necessary amenities like air-conditioning, flat screen TV, one king or two single size beds, sitting area with a sofa bed, spa-like bathroom, furnished in contemporary style with splendid Italian marble, in-room service and much more. Zoetry Villa Rolandi Isla Mujeres Cancun offers the finest dining facilities at the two reservation-free restaurants namely Casa Rolandi (Gourmet Swiss-Northern Italian Cuisine) and Le Metissage (French-Mexican Fusion Cuisine). In these restaurants, you can choose from a wide array of a la carte and organic dishes. Grab a snack by the beach or the pool from 11am – 6pm. Or, enjoy a romantic dinner with your loved one in your suite, with endless privileges. There are numerous sports and entertainment facilities available here at Zoetry Villa Rolandi Isla Mujeres Cancun. You may try your hand at fishing, or go snorkelling, scuba diving. You could also take yoga lessons or chill in the outdoor saltwater whirlpool. The hotel also offers deluxe yacht services, massage demonstrations, stretching classes, excursions and sightseeing, romantic sunset yacht ride two times a week. The Playa Mujeres Golf Club is only a few steps away from the hotel and the spectacular Caribbean Sea. So, ensure that you take the advantage of the complementary greens fees and enjoy the game on this marvellous 18-hole yard course, which is also identified as one of the best golf courses in Mexico.